This tour is for those who have come to realize that our history can be traced through the resting places of our earliest settlers. Cemeteries are important and sacred places. They memorialize the people who built our community, in which many of their descendants still live. Tombstones express past artistry and craftsmanship and provide useful information about early settlement, birth and death patterns and family histories. Cemeteries often incorporate green spaces and built heritage features, such as chapels, mausoleums or cenotaphs. Whether you are researching your genealogy or you simply enjoy a pastoral setting, this tour will serve as a guide to Markham�s historic cemeteries. Markham has more than 36 historic cemeteries, 16 of which are now maintained by the Town of Markham. Caring for and preserving these sites ensures that future generations can visit the resting places of some of Markham�s first families. This tour has the sites listed in an order that can logically be driven, starting in the Old Village of Thornhill, and ending in Markham�s East End. 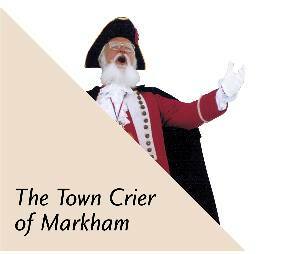 The basic information is from a folder produced by The Town of Markham, Corporate Communications, with acknowledgement to our Official Town Historian, Lorne Smith, for his historical commentary. Once the snow has gone, I will be taking pictures of each and adding them to the site so your tour will be more pleasant. I will be adding a map shortly to help in finding the locations.